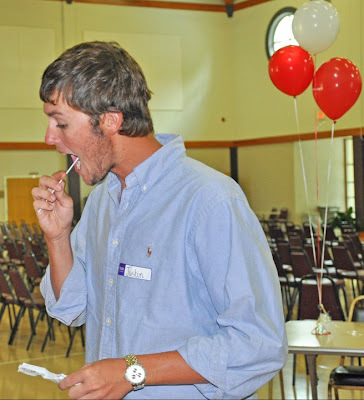 Blessings, Miracles, &Thoughts in Between: We Still Need You to Get Swabbed!!! We had a wonderful drive in Ocala on Sunday. I asked my sister to send me a recap and she put together a beautiful post! She is definitely the gifted writer in the family (and needs to get back on the blogging bandwagon)! I'm not talking about an order of Waffle House World Famous Hashbrowns; I'm talking about my emotions. I couldn't begin to understand why such an innocent child would be faced with such a diagnosis. I was supposed to be able to live vicariously through Lindsey - I have two boys, and they are adorable, but pink just isn't a good color on them. and my beaus wear their bows in the form of a bow-tie, not a head accessory. I was supposed to be the favorite aunt (for a little while, until Katelynn officially enters the family). You know, the one who sends the girly treats in the mail, the one that could have little secrets with Kate, the one who could tell Kate which buttons of Linz's get the most heightened response. All of those fun things in life. Now I'm in the aunt that puts on Bone Marrow Donor Drives in honor of my sweet Kate so that I can watch her grow up and all of those preconceived dreams can become a reality.Let me just put it out there that my family has an awesome church family. When we learned of Kate's diagnosis and need for a life saving bone marrow transplant, I immediately sent an email out to our family and our closest friends. Literally within that hour, my email was jammed with prayers being lifted for Kate and with people asking what they could do to help. Unsure of how people would respond, I began educating people on bone marrow donation. Jeff asked the staff to pray for Kate during a staff meeting, and immediately our pastors were on board with wanting to reach out and help. So they agreed to host a DKMS Bone Marrow Drive. We had 14 people assist us with running the drive on Sunday, and many more were assisting in prayer and spreading the word. 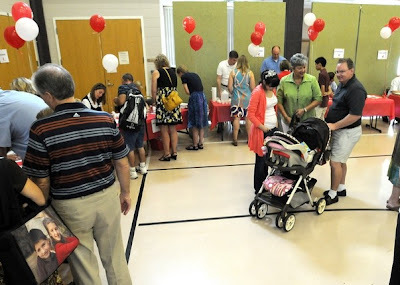 We registered over 60 people on Sunday and had to turn away about 40 people due to medical disqualifications. But in one 3 hour period, we had 100 people express an interest in registering to be on the national bone marrow registry. How awesome is that?!? We had people grabbing handouts and business cards, asking what they needed to do to have their co-workers join. How could their family in different states participate? On several occasions, people were conversing and wondering why they had never heard of registering before. How could there be such a need in this county, yet so many are unaware of how they can help. 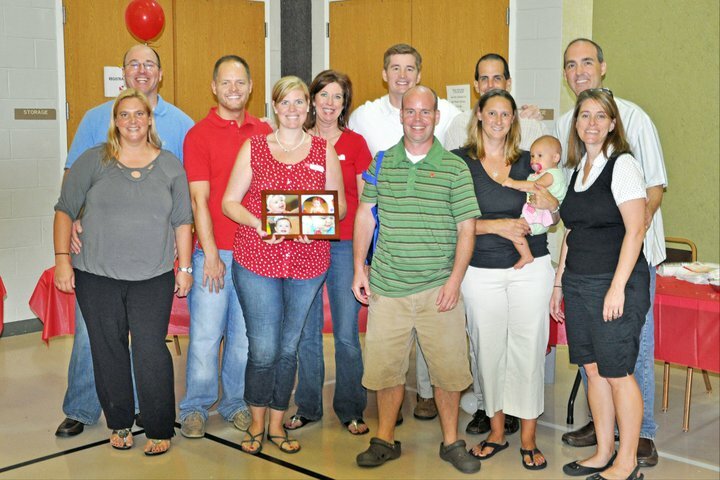 We are so grateful to DKMS for allowing us the opportunity to educate and register those within our community. During our drive on Sunday, several folks were asking how they could do a drive at their place of employment; we even had college students asking how they could get their friends to register on campus. I wish it didn't have to be Kate that was going through the suffering; but I am grateful for the opportunity to participate with educating the community on such an important platform. She makes me cry! Kate is blessed to have her Lala fighting for her! Kate is also blessed for everything her Uncle Jeff, Uncle Justin, Mimi, and family friends did to make this drive possible. So many babies, youth, and adults are waiting. Waiting for a second chance at life. Hoping to be at their first birthday party. Hoping to play little league baseball. Hoping to be the star of a dance recital. Hoping to attend the prom. Hoping to go wedding dress shopping. Hoping to walk their baby girl down the aisle. Hoping to witness their children have children. So many hopes and dreams are on hold. So many hopes and dreams are never realized because a match is never found. YOU can make these dreams come true. YOU can give the best gift ever. YOU can give someone a second chance a life. YOU can allow Kate to be present for her first birthday party, dance on stage while waving to me as I have a camera glued to my face, shop for the perfect dress to wear as Alex walks her down the aisle, and give Alex and I the opportunity to see her live a long life and bless us with grandbabies. YOU can shape our future and so many other futures. Please, consider visiting the DKMS website and registering as a bone marrow donor. It's simple; click the widget below, request a testing kit, swab your cheek when it arrives, and send it back. If my little brother can do it, so can you! She had me crying too! I'm already registered as a donor. What a great gift to be able to give someone. I registered a few weeks ago after learning about Kate! I'm glad the drive went well and I hope more people sign up!! I'm sobbing after reading that. What a great turn out. I'm so glad it went well. What a loving sister...truly a blessing!!! I registered and mailed back my kit two weeks ago! I pray one day I can help someone as precious as Kate. I've been reading your blog since pregnancy. Our children are about the same age, and I've read every post about Kate and her journey. I registered to be a donor today, and can't wait to get my kit. Thank you for bringing up this opportunity! Do you know if we are already registered with Be The Match if these swabs are also used for DKMS? Or should I send out for one on the DKMS website also? Sorry for a random question. I will probably just do that just to be sure. Praying for your family and that a match for Kate is found. I'm going to look for a similar charity here in the UK. 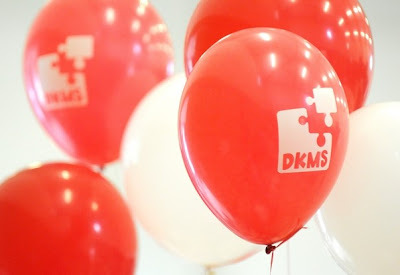 I found your story on the DKMS website. As I opened your blog and started reading sweet Kate's story, my heart sank when I saw June 6th, 2011. That's the same day that I got diagnosed with Acute Myelogenous Leukemia [AML]. You have such wonderful support and I will be part of it by praying for your baby girl. Sharing the blanket of prayers for a bone marrow donor. Love you herms. kiss KK for us. We love you to the moon and back. I am so sorry that we can't come to her first birthday this year, but know that we will do everything possible to make it to her 2nd-1st birthday next year! XOXOXO. We love you sweet girl!!! I really feel for you and your daughter and I pray that you find a donor and she makes a full recovery and goes on to live a long, happy life! I have a daughter about a month younger than Kate, and I can't imagine what you're going through. 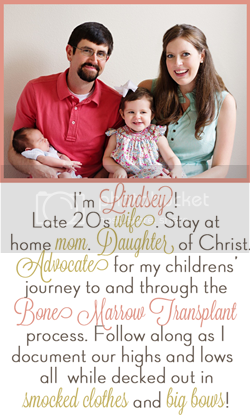 I'm trying to get my company to organize/sponsor a bone marrow drive here in San Diego, would you mind if I linked to your blog and posted your daughter's story as a way of inspiring my company and coworkers to participate? I almost cried when I read about your sisters post. She really is a good writer and I agree, the blogsphere needs someone like her. I read in your newest post that you have finally found a donor. I am so happy for you and Kate and the rest of the family. I pray that all the babies would have a fate similar to Kate. Can someone whose had a liver transplant be a donor? Hi! I was brought to tears reading this! My Dad was diagnosed with leukemia in January and there was no bone marrow match for him. We also held drives, but had no success. Dad went to heaven in June and we miss him so much. I am so happy you found a match for Kate! We will pray for her and your family as the next chapter begins.